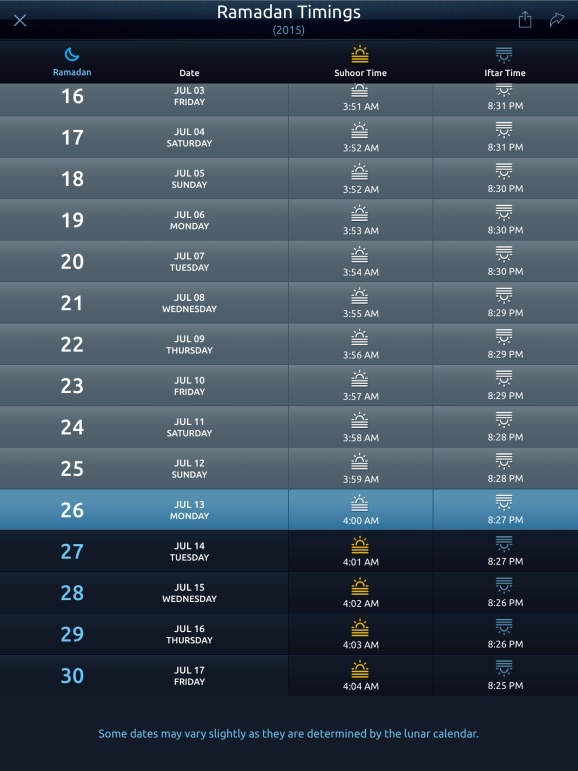 Get accurate and reliable prayer timings for any date and location. Illuminate your hearts with the lovely recitation of Asma ul Husna. 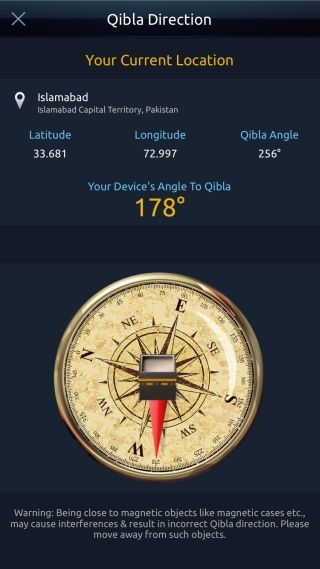 Figure out the precise direction, coordinates and angle of Qibla. 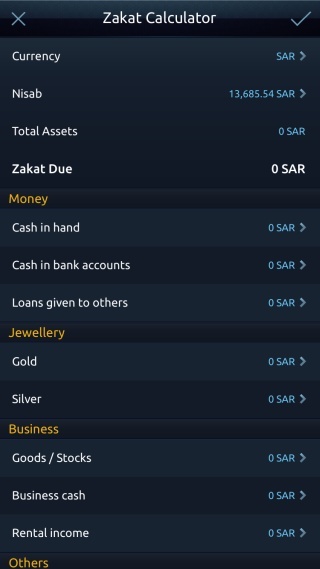 Get your Zakat calculated on your cash, savings, investments, jewellery and property. 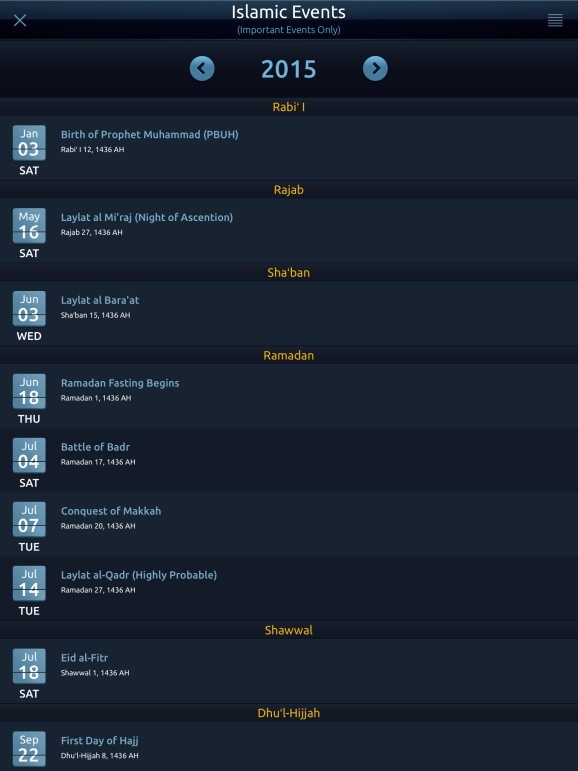 Stay abreast with the Islamic events all the year around. 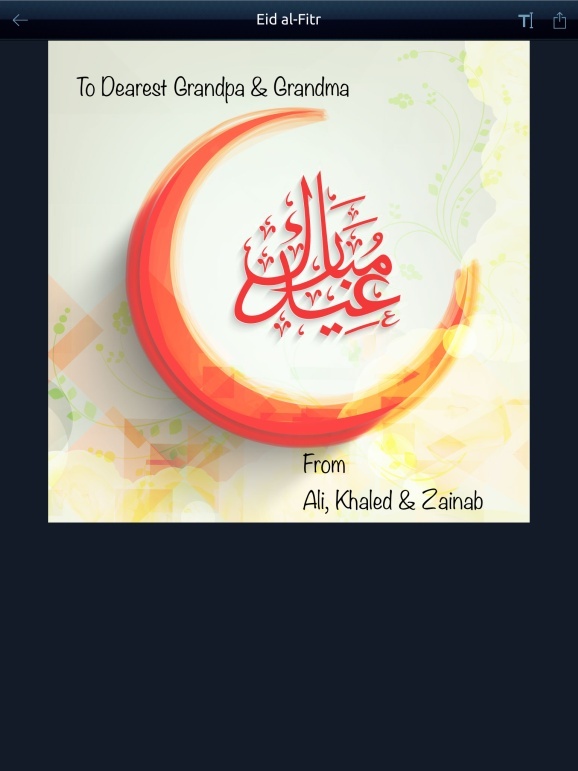 Send personalized Islamic greeting cards to your loved ones. Explore, read, listen and understand the Sacred Word of Allah. Listen to the mesmerizing recitations of fundamentals of a Muslim’s creed. 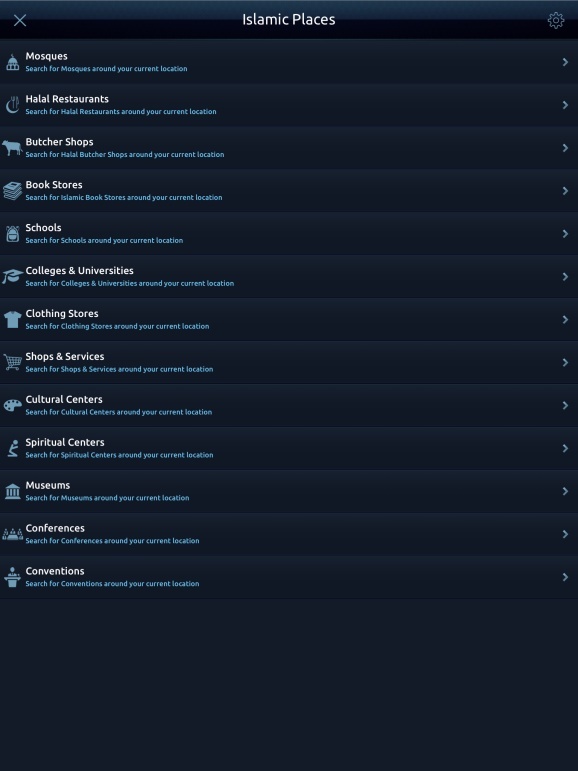 Search for centres of Islamic activities in your neighborhood. 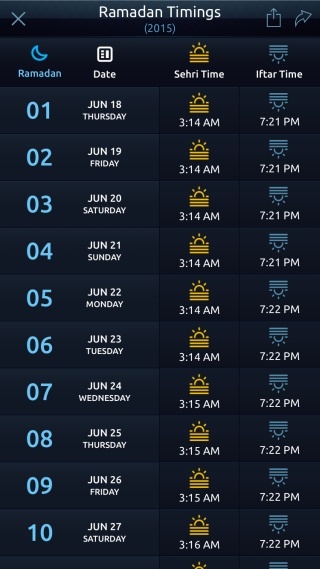 Find and share the sehri and iftar timings of the Holy month of Ramadan. 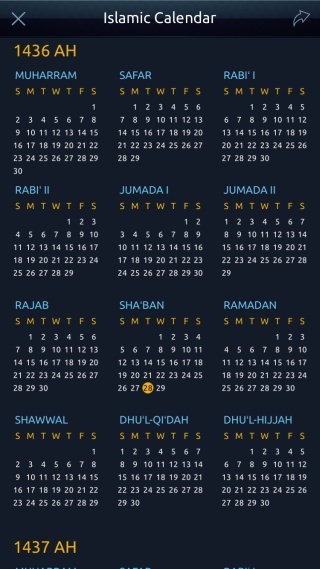 View authentic Islamic lunar calendar. Glorify your Creator with this customizable digital Tasbih. Set custom notifications for for prayer timings, daily verses, snooze etc. Rejuvenate your faith with a daily verse from the Holy Scriptures. 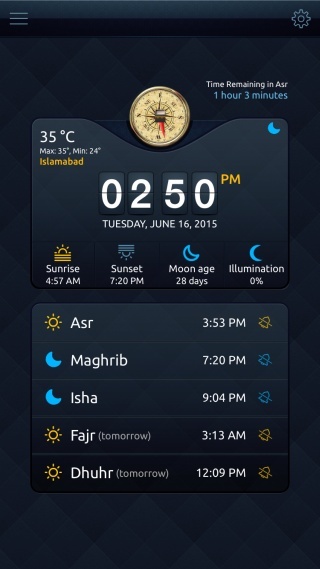 Access Qibla Direction, Prayer Timings and Daily Verse from the Today Widget. Stay updated with weather conditions expected for upcoming prayers. 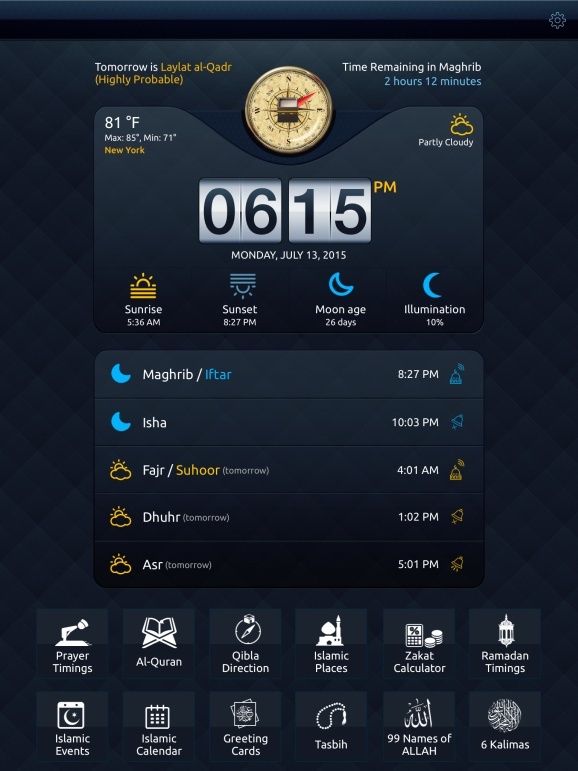 Muslim Mate is an extensive Islamic mobile application available on iOS that intends to serve as a thorough Islamic resource. 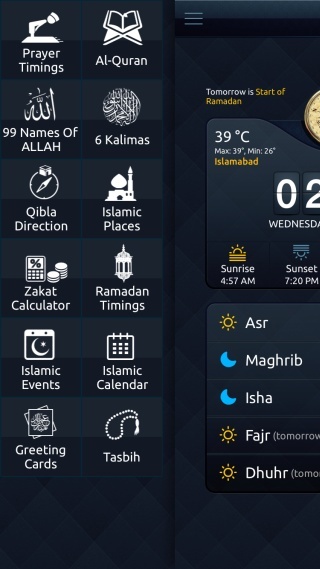 From prayer timings to Islamic events and from Islamic calendar to the Holy Quran, the app is a treasure trove of authentic Islamic information and knowledge as and when required. 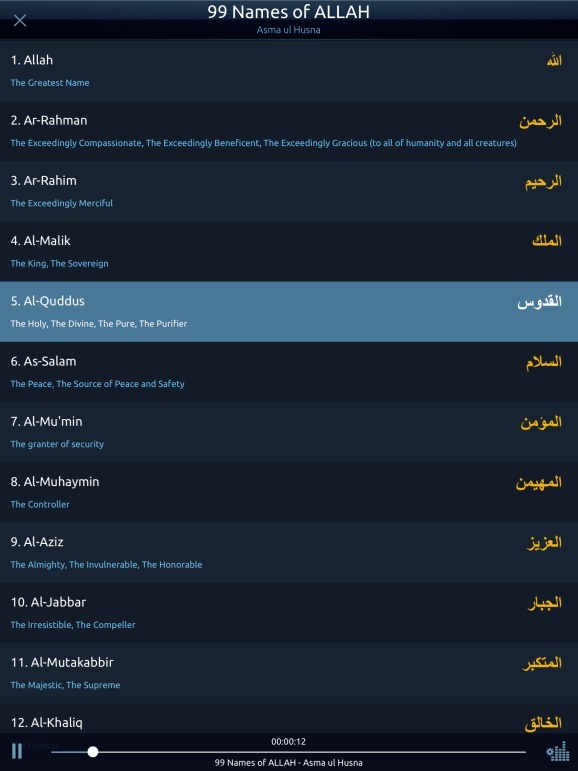 Read Al-Quran with Customizable style/script, font and font size; and organize your reading with bookmarks. 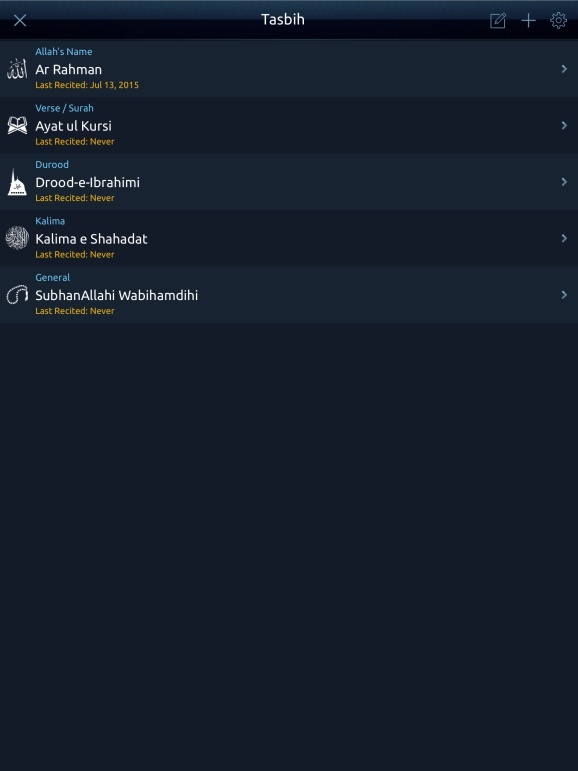 With intensive Arabic options present in the app, you can search through Arabic text as well as language translations. You also get to download and manage audio recitations and multi-lingual translations. 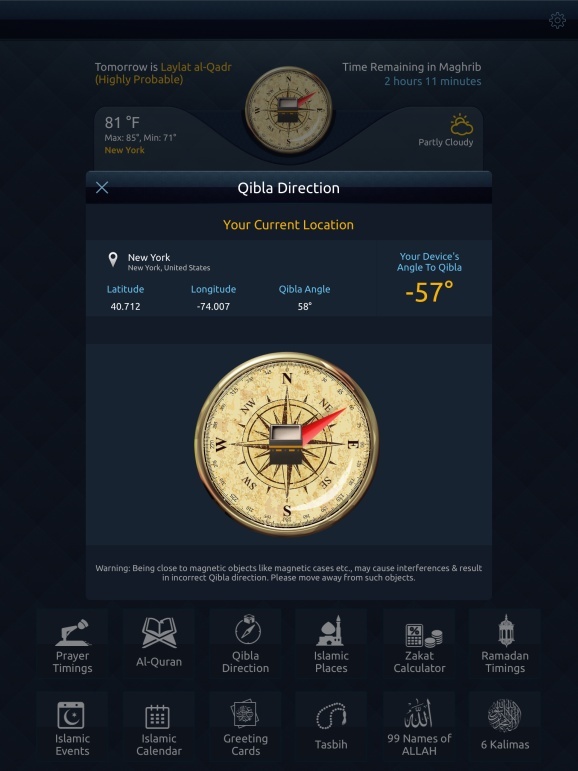 Establish your daily Prayers – Never miss a prayer through our reliable prayer timings notifications and determine the precise location of Qibla with our Qibla Direction. 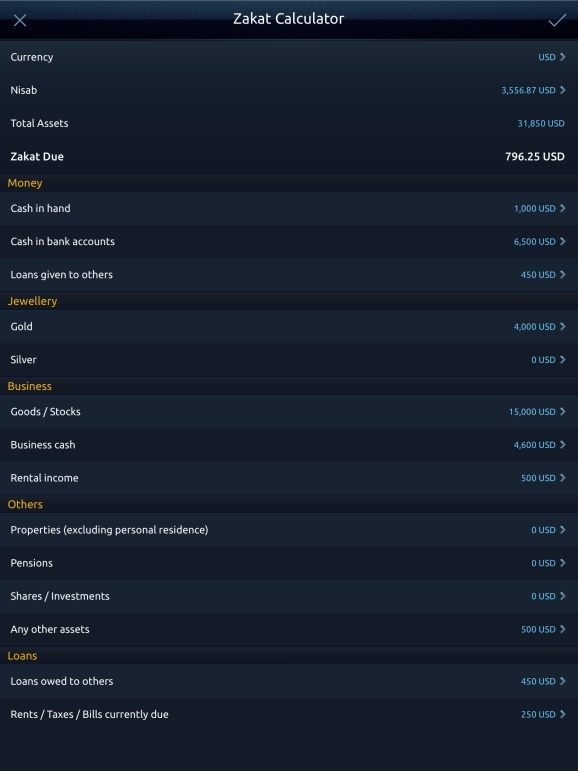 Concern for and Alms Giving to the Needy – Purify your possessions by giving Zakat figured out by our accurate Zakat calculator. The digital version of our Tasbih lets you perform dhikr of your Mighty Creator and keep track of your recitations. You can also listen to the awe-inspiring recitations of Asma ul Husna. 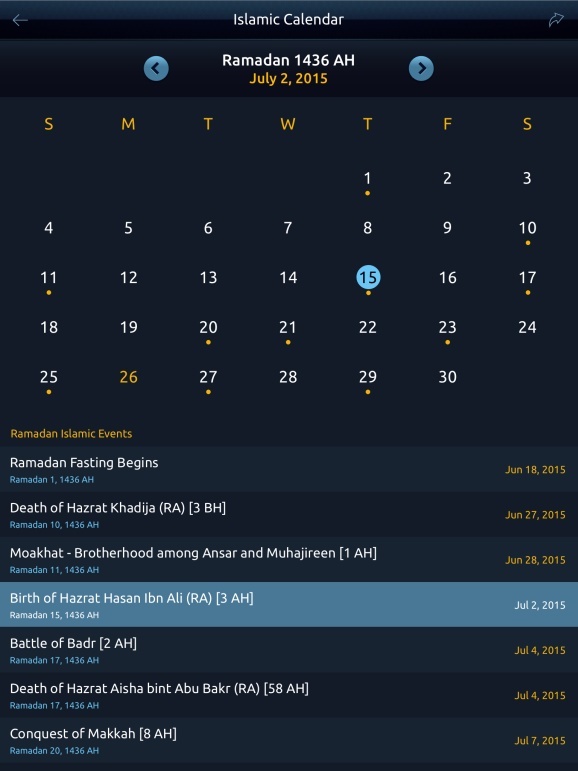 Keep track of the Islamic events all the year round through our Islamic lunar calendar and get to know your nearby centres of Islamic activity with embedded maps including mosques, Halal restaurants, butcher shops, educational institutions, cultural centres, book stores etc. 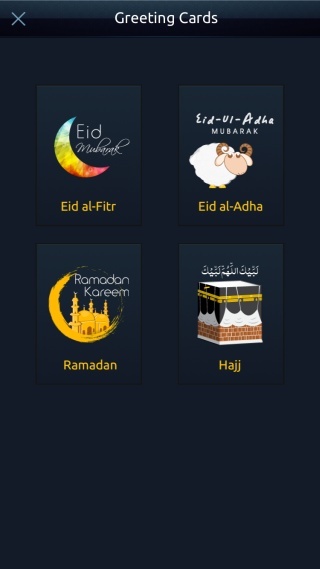 Share Al-Quran verses, Ramadan and prayer time table along with personalized Islamic greeting cards with your loved ones via Facebook, Twitter, SMS and Email. Muslim Mate could prove to be your trustworthy companion in unlocking the realms of success in this life and the hereafter. Give it a try and your would know for yourself.